Few of the women in the photographs are smiling. Some manage to crack a Mona Lisa turn of the lips. Those are the ones who are awake. Then there are the others; chilling visages of one woman after another. Some appear as if they are sleeping. Others like they may have been knocked out, or worse. 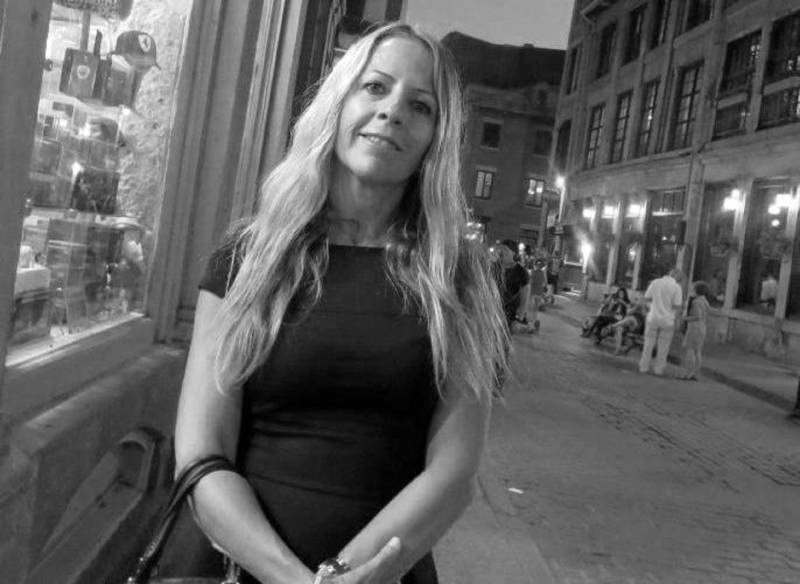 “Like they’re sleeping or dead,” says Christine Pelisek, a crime reporter with People Magazine. “Some look like they were in cars resting back with their eyes closed. The police found around 180 photos and videotapes." 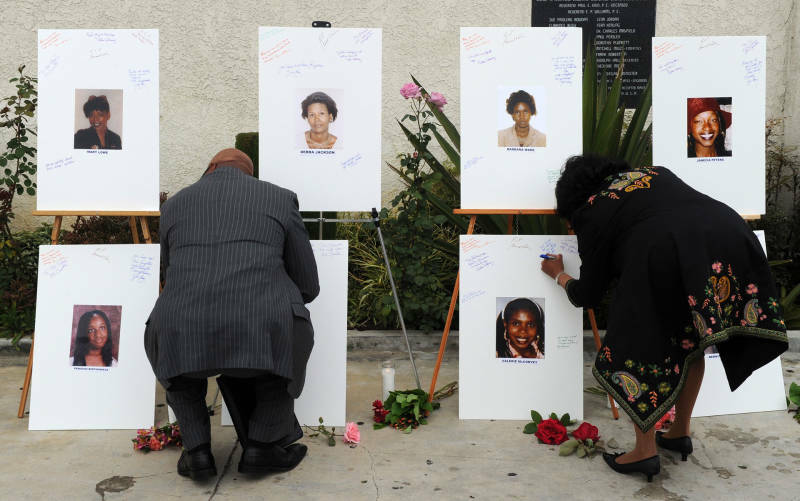 The images, mostly Polaroids, were seized in 2010 from the South Los Angeles home of Lonnie Franklin Jr., who is charged with killing nine women and a 15-year-old girl, although authorities believe they have evidence that could link him to several other killings. He is now on trial in downtown Los Angeles. 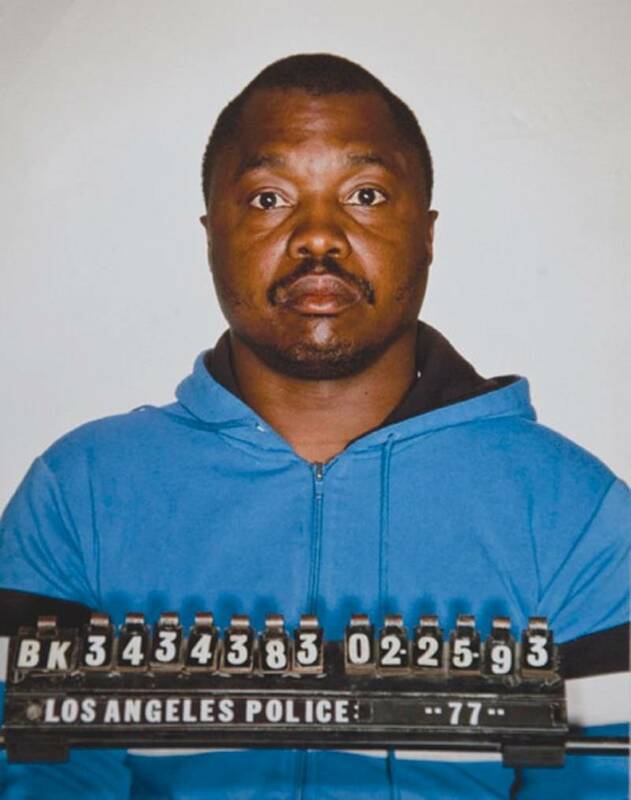 Franklin is accused of being the so-called Grim Sleeper killer, a macabre nickname coined by Pelisek during her 10-year quest to uncover the identity of a murderer behind a string of brutal sexual assaults and killings stretching back some 30 years. It’s a story Pelisek stumbled into while reporting for the LA Weekly. 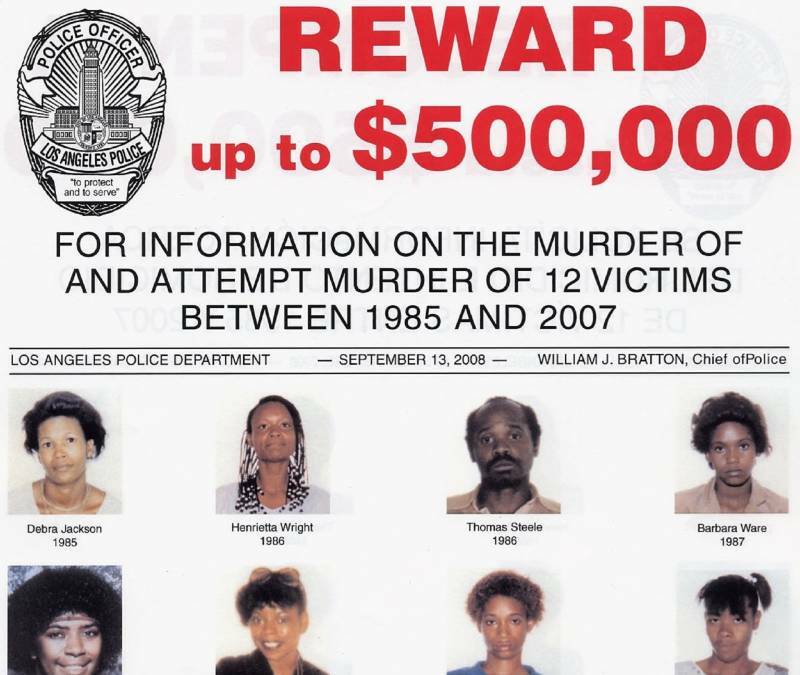 And so began a years-long odyssey haunting the streets of South L.A., tracking down victims' relatives, neighbors, retired police detectives and at least one woman who was allegedly attacked by Lonnie Franklin Jr. in 1988 but somehow managed to escape. Enietra Washington allegedly encountered Franklin outside a liquor store one day. He offered her a ride. She declined at first. But he had a pretty sweet car, an orange Pinto with racing stripes. “She said he wasn't threatening in any way. She actually described him as a nerd, very neat and very polite,” says Pelisek. So, she climbed in beside the man and they drove off. He promised to drop her of at her friend’s place. “And then he ended up veering off, going in a different direction,” says Pelisek. The man said he had to make a stop. He pulled up to a house, spoke to a guy who came to the door and then got back in the car beside Washington. When Washington came to, Franklin was allegedly sexually assaulting her. “She passed out again and then woke up to the flash of a Polaroid (camera)," Pelisek says. Washington was dumped from the car and left for dead. But she managed to crawl and stumble her way to a friend’s place and eventually to a hospital. Last month, Washington testified against Franklin at his trial. She pointed him out when asked to identify the man who attacked her nearly 30 years ago. 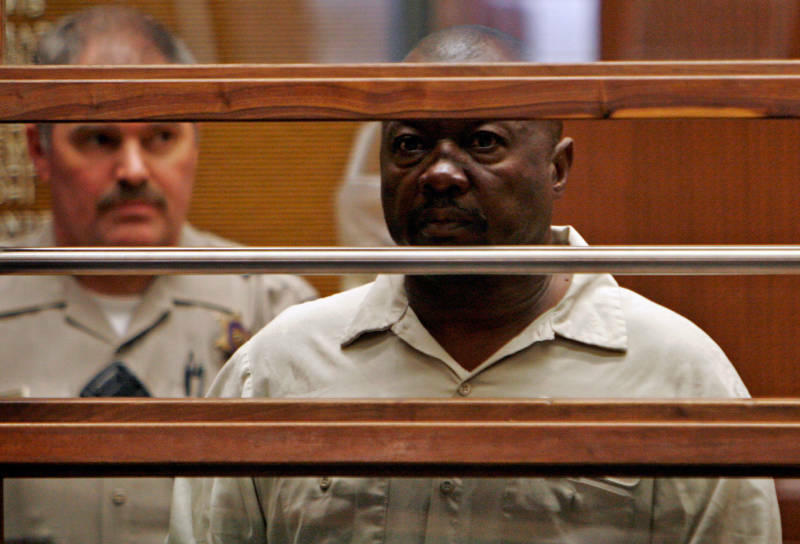 When the Grim Sleeper killings began, South L.A. was a rougher, deadlier place. The crack cocaine epidemic was raging. Ruthless gang warfare bloodied the streets. Murders stacked up by the dozens. But these murders, of young African-American women and at least one teenager, were different. 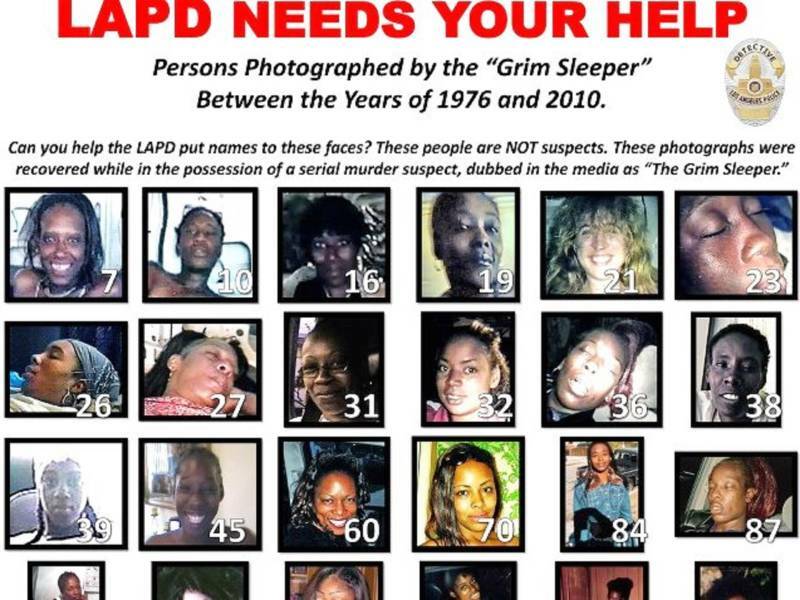 Just as fast as the murders began, they appeared to stop in the late 1980s, around the time the Grim Sleeper can last be linked to a murder -- until 2007, when the killings seemed to resume. Pelisek coined a nickname for the serial killer who had apparently been hibernating for years; the Grim Sleeper. Authorities arrested Franklin in 2010 after obtaining a DNA sample from him and matching it with DNA from the victims. And that’s not all. “Well, one is the ballistics,” says Pelisek. Investigators also found a gun in Franklin’s home allegedly used to kill victim Janecia Peters in 2007. "Then I guess the biggest thing is the fact that he's linked to all the victims through DNA evidence,” says Pelisek. The DNA evidence is also what Franklin’s public defender is picking apart as the defense begins its presentation to the jury. A handful of neighbors and other people who know Franklin have come to his defense since his arrest. But the number of supporters appears to have dissolved, though Pelisek says some have shown up in the courtroom to express support for a man they knew as a low-key friendly guy with a knack for fixing cars. “From the outside he looks like this just regular everyday friendly guy,” says Pelisek, who has yet to have the opportunity to interview Franklin. Then there’s the other piece of evidence found at Franklin's home: a mountain of photos, including Polaroids of Janecia Peters, who was killed in 2007, and of survivor Enietra Washington. More than 30 of the women in the photos have yet to be accounted for. Authorities do not know who they are, or if they are dead or alive.